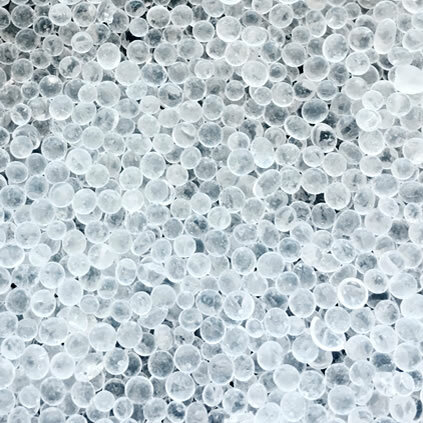 White silica gel (sSORB type-A) is a synthetically modified silicon dioxide that has been purified and processed into a hard, smooth bead. Granular white silica gel is the granular form of the adsorbent silica gel. 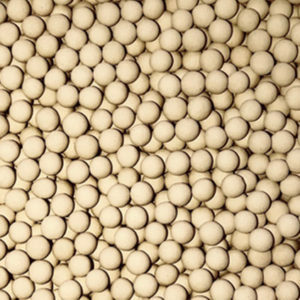 White Silica Gel (sSORB® Type-A) is a synthetically modified silicon dioxide that has been purified and processed into a hard, smooth bead. 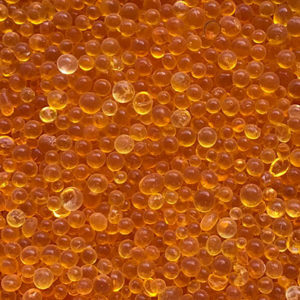 sSORB silica gel’s high surface area has a vast network of narrow interconnecting pores which have a strong affinity for moisture. Silica gel will remove moisture at temperatures as high as 220° F, but is best used at room temperature (70-90° F) and high relative humidity (60-90% rh). 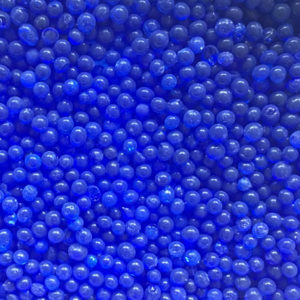 Granular silica gel is synthetically modified to give it a vast internal network of interconnecting cavities creating a very large internal surface area for adsorption as a desiccant. Silica gel’s signature characteristic is its ability to adsorb moisture in humid environments and performs best at 60 – 90% relative humidity at ambient temperature. and also in compressed air dryers. 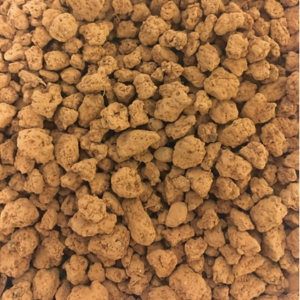 and, generally, in any desiccant application requiring premium performance, high capacity, and energy savings. Reseal white silica gel packages and store in a dry location to prevent unintentional water adsorption. We recommend that you rotate stock so oldest material is used first. Our white silica gel beads and granular product SDS can be downloaded from this web site or by contacting Interra Global at 847.292.8600. Available in 55 lb (25 kg) bags and super-sacks filled to order.